I have been away from “Hair” for about a month now, haven’t been making much changes to my routine in terms of products but in a way I have kept it so simple that it is starting to feel like neglect. 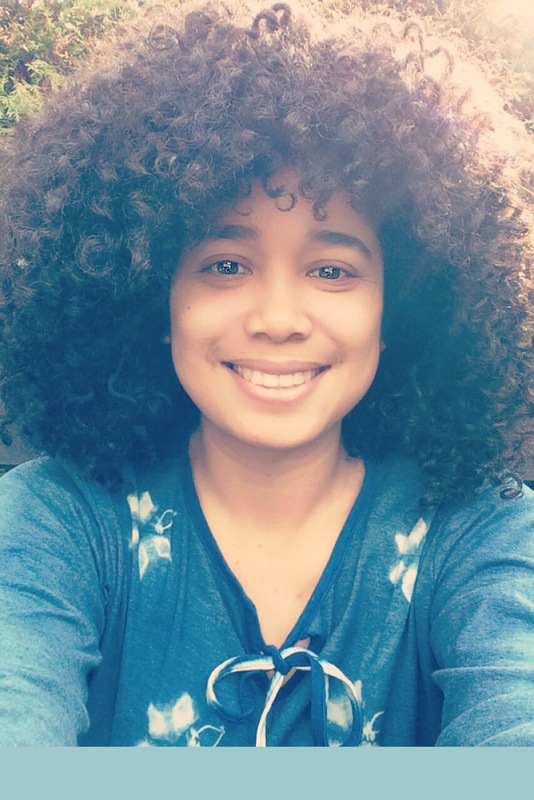 My last wash day, was last night and took less than 10 minutes I simply used shampoo and a leave in conditioner as a rinse-out. Basically naked hairday. My hair is quite tangle free today and scalp feels clean but since I did not leave any product on last night and a few more nights before that at some point (tomorrow hopefully) I will have to get serious about my hair and even as I write this I don’t feel bad for “celebrating” my hair blog anniversary by doing less rather than more. Still, I wanted to write something in way of a thank you to all my friends in Social Media, because even though my absence was unintended, there was really not a plan behind it a lot of good things came out of it. I noticed that even though my Instagram channel is chaotic and is not oriented in a way that promotes audience growth because I post too often, It has no internal consistency yada yada yada and while it is hair centric it has a bit of everything once the hair feature is done; my instagram friends whom I have never met in person but look forward to in the future have sent me messages either via DM, blogmail or in the comments section wondering if I was doing OK which I am by the way Thank you very much 💞 and while I felt a bit guilty for making people worry for no reason I felt very grateful to have such a lovely virtual audience offering me their friendship. What I did with the time I did not do hairstagram? I read a lot of books. It all started with not having my ipad at hand and then once I had it again I was so used to picking my kindle 1st that I thought oh well I have not done much with my hair so I don’t think it would make much of a difference if I post something or not but I guess I was wrong what we does matter to others. I did not know exactly how to write this post on instagram that’s why I put it here in the blog, but I guess it is my weird way of saying thanks to all of you who showed appreciation made positive comments about my sense of humor, missed the memes or jokes and appreciated my (I quote from messages I got) “refreshing” and “positive” style. I keep the hairstagram as a way to keep track of my hair but I was unaware that traits other than my hair were being appreciated and getting all those messages did make me very happy, the natural hair community I belong to is more than about hair it is truly about friendship; I had written about it before but I had not known how true that statement was. I definitively think my hair increases my happiness even when not actively doing too much to it. That’s probably what going natural is about for me, it is about being happy and learning about anything, while my abandoned instagram account was flooded with positivity I stumbled upon a few not so nice youtube videos (negativity, racism, comparison, envy? I can’t really tell) while looking for inspiration outside of my comfort zone for my hair blog and deciding whether or not to upload videos to youtube. I still don’t know which direction to take with the blog, but these few offline weeks have taught me that “we are not often aware of the effects we have on others” yes, I did quote again from one of the lovely messages I got from my curl friends because, I honestly could not come up with better words. For now I won’t make any changes to my comfort zone because honestly if it isn’t broken why try to fix it. A year ago I wrote my 1st blog post my blog was anonymous and unlinked to my IG account which at the time was rather quiet, I did not post pictures of my hair here and I had a clear idea what kind of blog I wanted to have, I lived in another country and my life was in general different. Things do change, however and now The Hair Lab has turned 1 year old among chaotic posting habits, no clear direction or growth plan but perfectly happy and content with the format it developed. I am looking forward to continue learning as much as possible not only about hair but about anything that can help us grow together.